One of the best parts of living in the London is the sheer number of places that we can go for high tea. It’s such a fun British tradition. But it doesn’t really start until about 2 PM, and sometimes I just cannot wait until the afternoon. I first had these Welsh Cakes served on a three tier cake stand during high tea. Since then, I’ve discovered that I love them during the mornings for breakfast. I like to think of these Welsh Breakfast Cakes as finger food pancakes in form. But even better — with the rich butteriness that normally comes with a scone. They look adorable, and can be picked up with one hand and eaten in three dainty bites. For a special brunch, we love these Welsh Breakfast Cakes. But if you aren’t familiar with griddle Welsh Cakes, you may wonder what exactly makes a Welsh Cake a Welsh Cake. 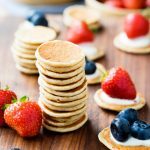 How is a Welsh Cake different from a pancake, and what is the best way to eat a Welsh Cake? Welsh Cakes originated in Wales in the late 1800’s and are also known as bakestones or griddle scones because they are made on a griddle. Think of a mini pancake or flat circular scone with sultanas/raisins, and dusted with caster sugar. Unlike a pancake though, Welsh Breakfast Cakes are buttery and a bit brittle in texture. 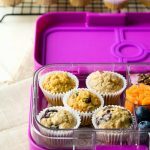 You should be able to break them in half with the slightest pressure, so you can pick up and eat these with your hands. 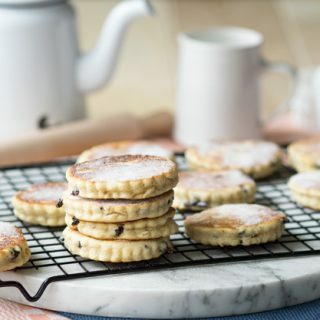 These little griddle Welsh Cakes can be enjoyed plain by themselves, unlike a British scone, which is usually paired with a jam or clotted cream. 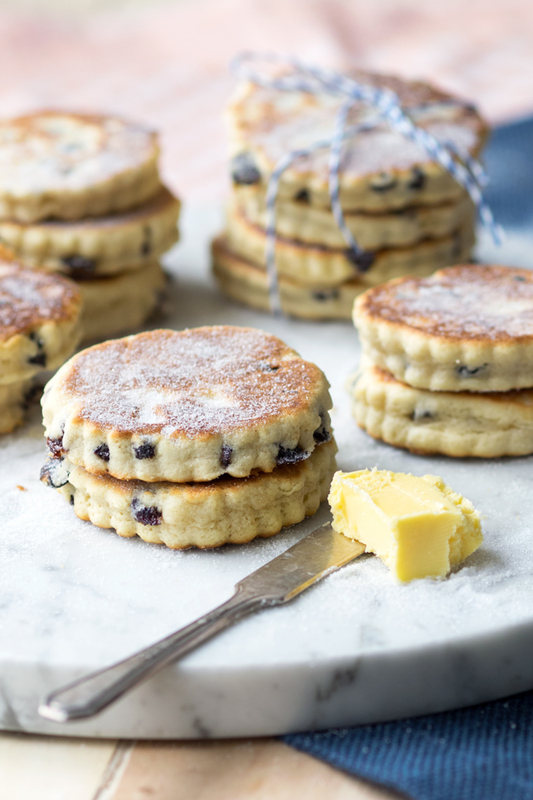 Unlike a pancake, these Welsh Breakfast Cakes need no additional maple syrup or topping. 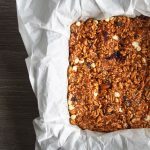 Each bite should be filled with just enough sultanas, sweetness and spices. That being said, there is no hard rule how to eat Welsh Breakfast Cakes. You definitely can eat them with some kind of spread if you prefer. 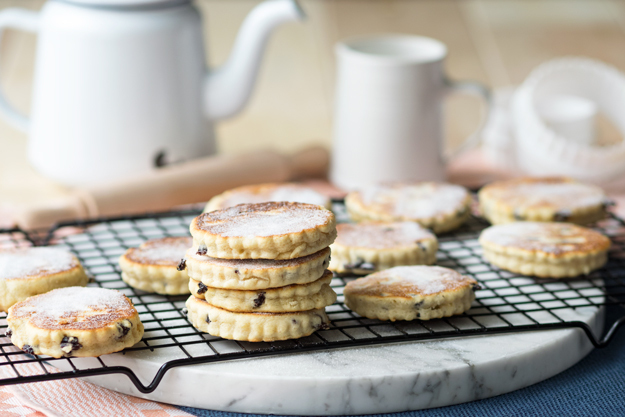 A thin spread of butter does wonder for these griddle Welsh Cakes. 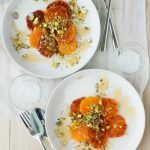 If you have a sweet tooth, you can dip them in maple syrup to give them a more traditional breakfast taste. 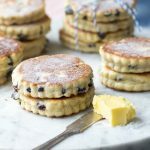 If you’re like me and too impatient to wait until the afternoon for high tea, don’t be shy and enjoy these little Welsh Breakfast Cakes with your morning cup of tea or coffee. Go ahead, treat yourself! And if this post hasn’t convinced you to make these griddle Welsh Cakes, here are 18 Reasons Why Welsh Cakes are Literally The Best Food in The Whole Entire World by BuzzFeed. 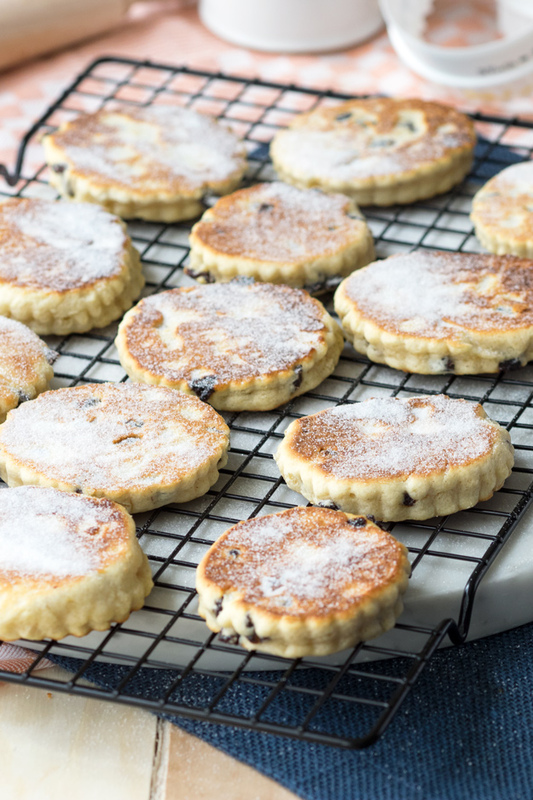 Make these Welsh Cakes with an easy to follow recipe. Think of a mini pancake or flat circular scone, packed with spices and sultanas/raisins, and dusted with caster sugar. 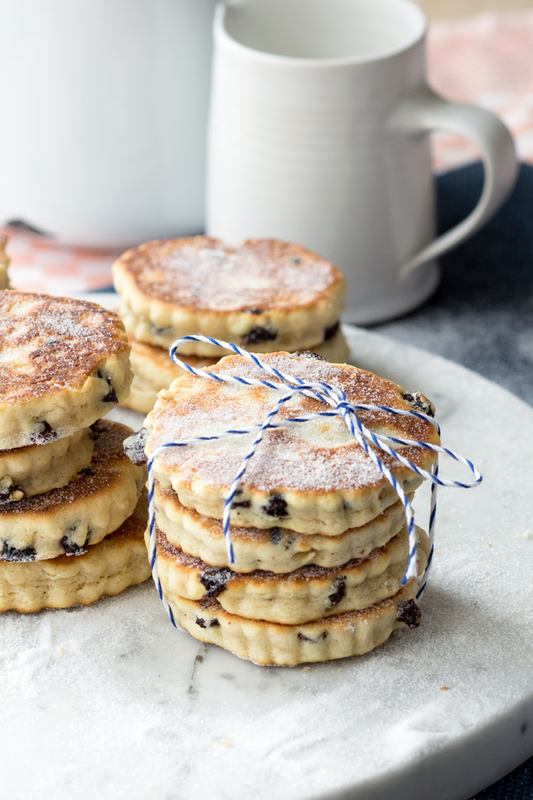 You'll love these Welsh Breakfast Cakes. In a large bowl, sift the flour, sugar, baking powder, mixed spice and salt. Cut in the butter using a pastry blender. You can also use your fingers to rub the butter in, until you get a fine bread crumb consistency. Be careful not to rub the butter too much and melt it. Toss in the currants. 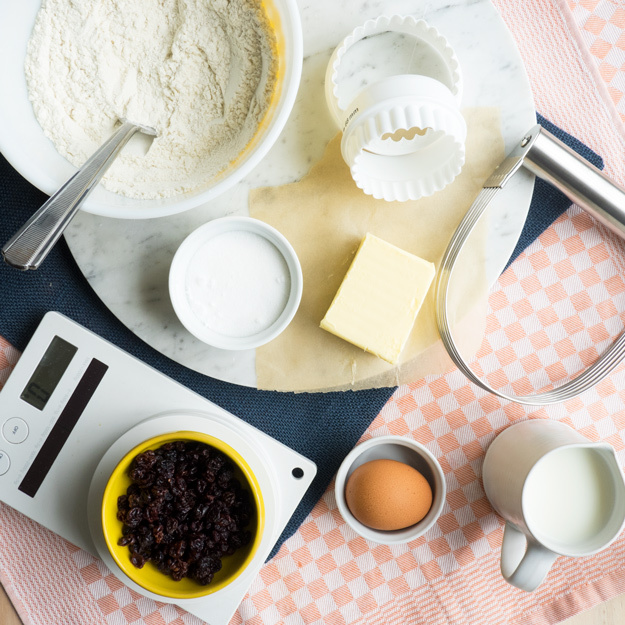 Using a fork, mix the egg mixture into the flour mixture, until just mixed. Use your hands to finish mixing the dough together. It should be short, so don't over mix. The dough should be wet, but not too sticky to handle. Add in more milk as needed. Heat a cast-iron skillet on medium to medium-low heat with a little bit of oil. Pour the dough out onto a lightly floured silicon mat. Using a lightly floured rolling pin, roll the dough out until about 1-cm thick. Using a 7-cm diameter cookie cutter, cut out as many rounds as you can. Combine the remaining dough together, and roll it out again until about 1-cm thick. Cut out as many rounds as you can. Repeat as necessary, but note that with each successive rolling and cutting, the pastry may get over mixed. Once the cast-iron skillet is ready, cook each side of the welsh cakes for 4 minutes. Adjust the heat as needed so that the welsh cake becomes a golden brown with 4 minutes on each side (I switched my induction hob between heat levels 4/9 and 5/9). 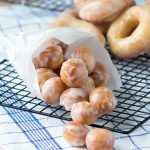 Transfer to a cooling rack and sprinkle them with caster sugar. 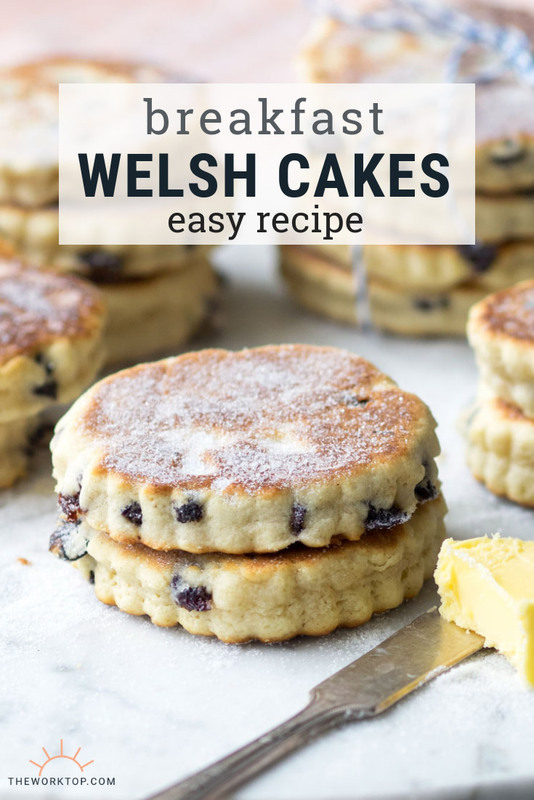 Made these Welsh Breakfast Cakes? 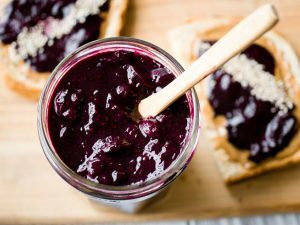 Pair it with this easy blueberry jam with chia seeds! 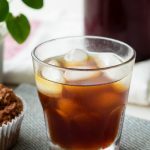 Mixed spice is a blend of spices – usually including sweet spices such as cinnamon, nutmeg, allspice, cloves, and ginger. 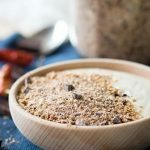 It’s similar to pumpkin pie spice, if you are familiar with that spice blend? Ah, it’s a terrible mistake! 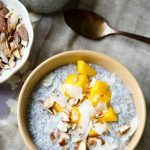 The recipe should read 1/4 teaspoon mixed spice, and has been updated accordingly. I’m so sorry about that, and thanks for the note. Oh … my Mom used to make these … brings back so many memories! Sadly I can’t eat flour any more but wish that I could. They’re so cute and look AMAZING! 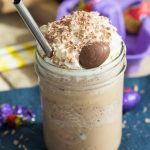 Maybe I’ll make them for mothers day! Wow I like Welsh cake not too hard like cookies and not too soft like cream cake, perfect with Chinese Red Tea. Matcha latte and Welsh cakes for me please!